Right now, Ad Mech feel too dependent from the nova canon and their torpedo launcher ships are too weak compared to others because they only use basic torpedoes. I think that giving them vortex torpedoes could help with that and feel ok lore wise since they are supposed to be the one who use high tech weaponry in the Imperium. Also, the Ark Mechanicus could use a torpedo launcher. Maybe not 8 torpedoes like the Retribution since it's also have a Nova canon but 6 could be good. Right now, it's too weak and it's better to take 2 Tyrant for doubling the use of Nova canon will keeping a good Macro dps. As for the effect of the vortex torpedo, I don't know. Maybe it could work like eldar torpedo and ignore armor or have double the critical chance so it's better to destroy systems. Probably only one use since they are supposed to be really powerful (and they are supposed to be the rarest type of torpedo). Of course, price of the ships might be changing in the process since they become more powerful with better torpedoes. Vortex could either be an automatic minor critical, or alternatively, combine the effects of Melta and conventional torpedoes, but slightly weaker than being hit by both. I don't know about adding torps to any existing ship, but I'd love alternate patterns that have torps instead of novas. 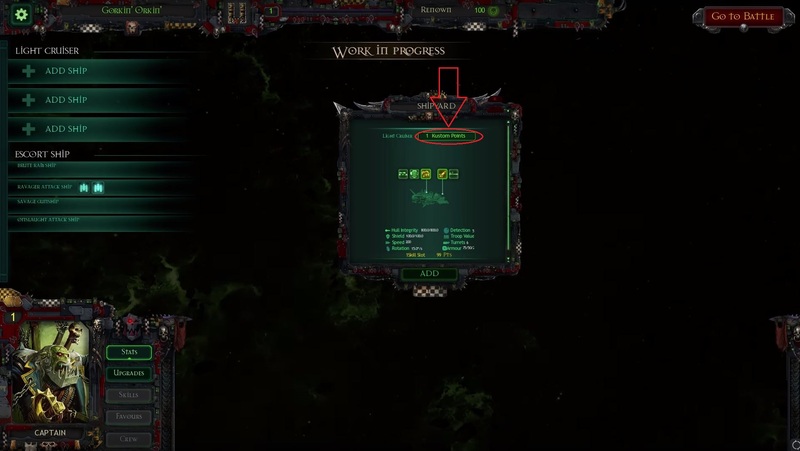 The original Admech rules only say cruisers 'can' take a nova cannon, not that they 'must'. I'd like to see some of those 'plasma boosted batteries' mentioned in the rules that increase 30cm weapons to 45cm (which I think is from 9000 - 13500) for those alternate patterns. Vortex torps would be tricky, as we've seen what ubertorps do on the Eldar. Perhaps they could be more like partial Damage + Speed reduction (cause of gravity distortions) or Damage + crew damage. I could see a slowing torp having a support role for an admech fleet, as they do want to keep anybody from getting close. And "Quest for Knowledge" gives even more opportunities for customization you ships. 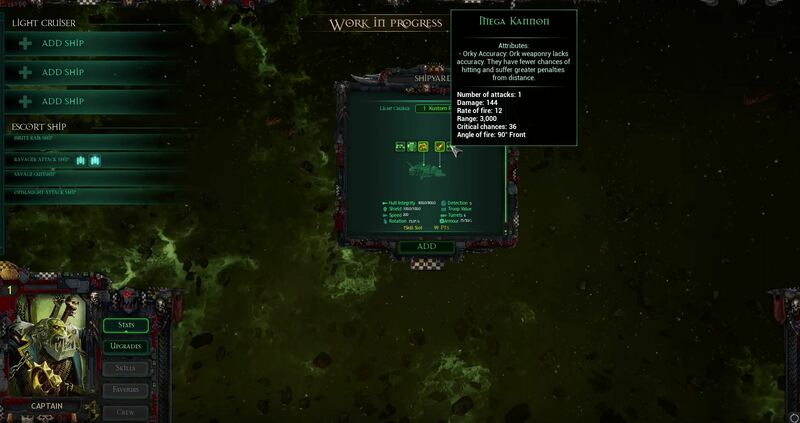 Do you understand why Mechnicus is so ... strange faction in Armada II? This is because Adeptus Mechanicus was transferred from the board game very carelessly. Yes, Admech have their ships ... most of them (looking at the battleships)... but there are almost no features that make them interesting. + 1 lance turret, +2 defence turret, Nova cannon everywhere and crews/boarding penalty? Just look at the list above. What of this we have in the game? yeah, that's why I wanted to give them another type of torpedoes to give them a little more identity (and adding some ship with torpedo launchers bigger than L.cruiser could also help). Since the IN have Melta torpedoes and SM boarding torpedoes, I was thinking that a kind of torpedoes specialized in crippling systems could be good (a slowing effect could work too). The light cruisers could be used to cripple ships so the Cruisers could kite and land Nova canon shot against fast targets more easily. Indeed, the AdMech's biggest issue (In my eyes) is a lack of identity. They feel like a subfaction of the Imperial Navy, not a faction of their own, and that's disappointing. The more differences they can wedge between them and the Imps, the better. I do not think you can give them torpedoes, since the Ark doesn't have a model for torpedo launchers. The VI 2 mod is trying to think of something like Vortex nova shells and new batteries for AM to make them somewhat better. Something like Rift shells ? Why not, Differencing nova cannon with other kind of shells could work and help too. Maybe fast shooting Electromagnetic Shells to deactivate systems temporary or Grav shells for the Ark Mechanicus could also work and give them more identity. This whole post is what I really wish we had. There's been many people complaining about "muh customization", well, if the game worked closer to what board game had and TAKT described this would not only sate these type of people but also would allow for more ways to build your fleet, helping factions like mechanicus that are based on pretty much one gimmick which are nova cannons. And by the way, I can build a nova cannon fleet as IN just as well as I can with admech, but with added bonus of better boarding. Currently, the way to play admech for me is nova + engine crit focus OR hoping that stasis bomb will catch my opponent. Some "boost" factions like orks,'crons and eldar are also prone to focused nova fire after boosting, but that's about it. While we'll have to wait and play to see how they came out, they are changing a bunch of things for the AdMech on the next patch, which should help give them some personality beyond "Imps, but worse". Right off the bat, the Gravity Cannon looks frigging awesome. Oh, I'm only referring to how it looks. Frankly I couldn't give less of a damn about multiplayer, so that aspect doesn't matter to me personally.